TCA is a good option for people that want to improve the overall appearance of their skin in a short period of time with a minimally invasive but potent peel. Various claims of the efficacy of TCA peels in tattoo removal have not been validated. The best candidates for TCA peels suffer from a skin condition such as hyperpigmentation, want to get rid of minor scarring, or want more even skin tone. TCA treatments are also an ideal treatment for people that suffer from severe acne as the peel starts to work on contact with the skin and has antibacterial properties. Also, a TCA peel will typically get results quickly with relatively little recovery time. Most people will have four to six cycles of TCA peels in short succession before using TCA peels on a biweekly or monthly schedule. It is recommended that people with sensitive skin start with lower concentrations of TCA and use a spot check before applying the peel to the entire face. Side effects such as irritation and redness can be treated with the use of high SPF sunscreen after each peel, and the use of high SPF sunscreen is highly encouraged. Most other peels do not work on contact. In addition, TCA is more potent than most other peels and serums. 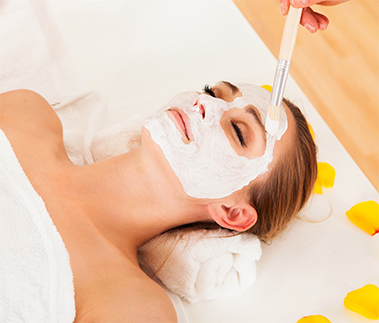 A TCA peel will typically treat a skin condition quickly followed by a short recovery.